Rabbit, Rabbit! Spread the Love! Rabbit, Rabbit, p2Peeps and friends! We are off to a great start. January offerings have been extremely popular. You have created pop out photos, barn door layouts, added crazy frames to your layouts, and even learned to balance your pages. If you have not been watching the inspiration on the pixels2Pages Community Facebook Group, head right over there right after you finish reading this news article. If you thought January was great, wait till you dive into February offerings. There are always great deals for our FOREVER customers every month, and this month is no exception. Click the image below and check out our sales promotions for the month of January. Did you notice that we currently have a p2P membership promo happening. 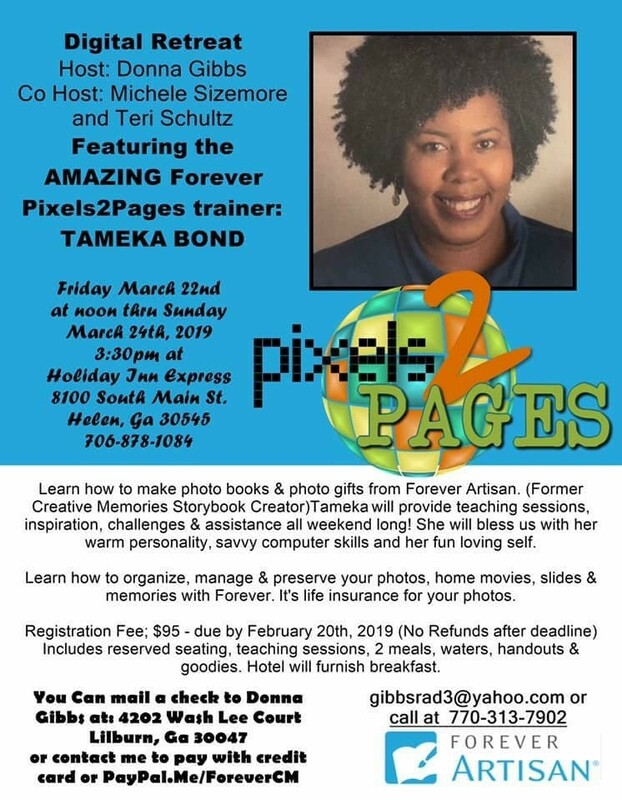 Now through February 13, 2018, join pixels2Pages with a yearly membership and you will receive a $30 coupon that can be used on any pixels2Pages branded digital art available in the FOREVER Store. And I am going to let you in on a secret. On February 8, 2019, pixels2Pages 2016 Classic Blueprint Mega Bundle will be Deal of the Day. 108 Blueprints will be yours for the taking at only $35. As a new yearly pixels2Pages member, you can get those Blueprints for just $5. Don’t hesitate. Join right away. It will take a few days to get you your coupon and if you want to use it on the Deal of the Day, you need to allow time for your coupon to arrive. Of course you can join anytime before the 13th of February and choose one of many mega bundles, collections, crop kits and more. CLICK HERE to see all the pixels2Pages has available. Now let’s see what was posted on p2P last month – click HERE to see everything posted on pixels2Pages™ in January. 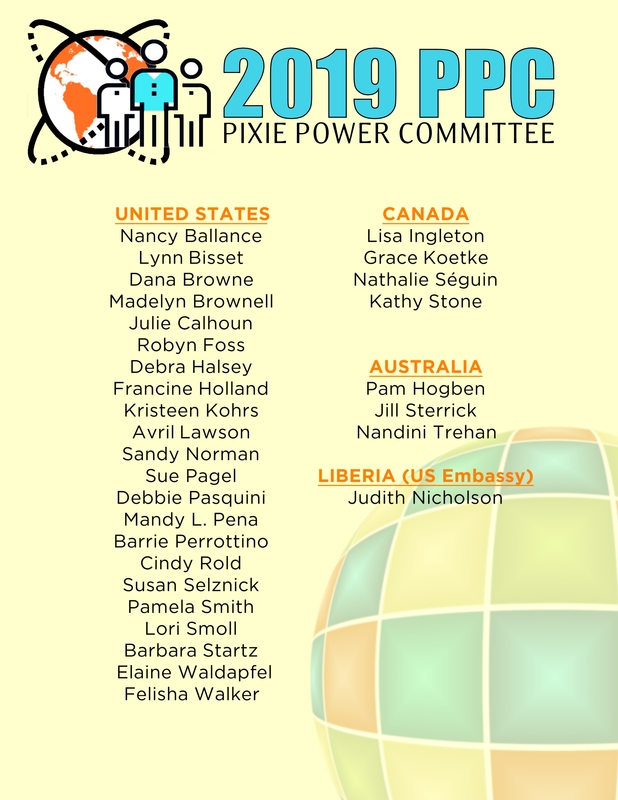 We would like to give a huge shout out to the PPC (Pixie Power Committee). The members of the PPC were instrumental in getting your January offerings just right. They tested Blueprints and instructions for Bright Ideas, watched videos, and gave important feedback to make our offerings better. Let’s give them a huge thank you and look forward to how they help transform p2P in the upcoming months. 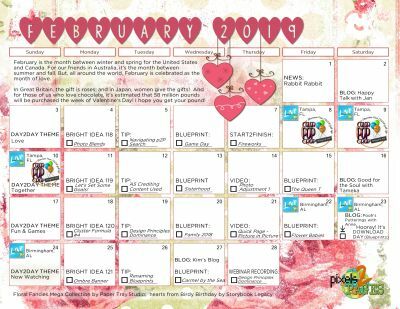 Stay up to date on what’s coming this month thanks to Anne’s beautiful and detailed calendar. We encourage you to download and print the calendar each month to help you keep track of all that’s available to you. Consider printing this calendar in black and white if ink usage is an issue for you. Virtual Crop: The countdown is on! We were going to save the details of our crop theme until a little later in the month, but we are too excited to wait! 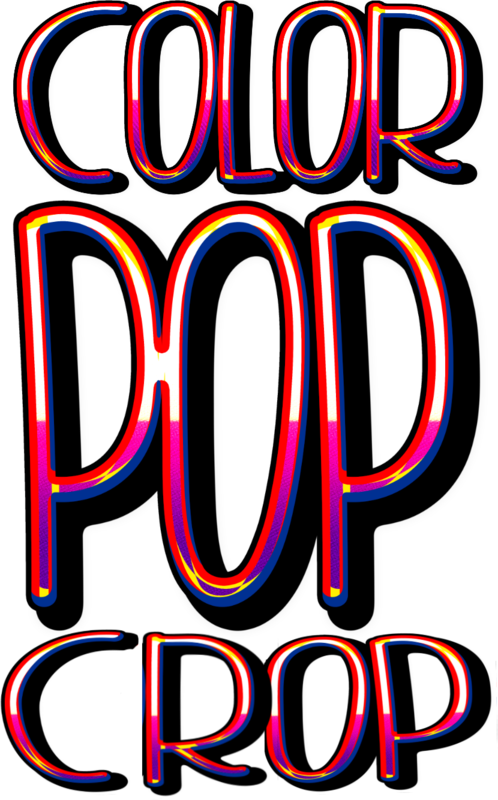 We hope you will join us on February 8-10, 2019 for the Color Pop Crop! This theme promises to be vibrant and fun. As always, the theme will be flexible enough to work with any project you will be working on. There are a few days left for you to get ready. Download the agenda and checklist that we prepared and get your photos ready for a party. Mark your calendars and tell a friend! Last year pixels2Pages had an entire week where we celebrated love by posting love-themed pages in our Facebook group. We had so much fun we are going to do it again. We plan to keep up the momentum built up during the crop. From February 11-17, 2019, each page you post featuring select offerings and/or products will be an entry into a random draw for a prize. We have been watching closely as members posted about how they rename their Blueprints so that the double page spreads stay together. The methods chosen are as varied as our members! We have heard you and starting with the March Blueprint downloads, we will reveal a revised Blueprint naming convention that will allow you to view your double page Blueprints side by side without separating them in separate folders and/or disrupting the original naming convention. Once we rename these Blueprints, we will go back and rename the previously released January 2019 and February 2019 Blueprints so that you can re-download the Blueprints with the new naming convention. At the end of this month, we will also release a tip that will show you how to rename your existing Blueprints so that they meet the new standards. Last month we replaced one of our weekly videos with a webinar. The very first webinar which focused n the Design Principle of Balance was a HIT! The recording is now available to all members. CLICK HERE to check it out and watch how Jan McCallum changes your thinking about the composition of your pages. Each month we will be replacing one of these videos with a twenty to thirty minute webinar (granted our first webinar lasted an hour because it was just that good). All webinars will have a specific focus and will be held live during the month. The live webinar will be member only and the date and time of the live webinar will vary month to month. This will give more people an opportunity to participate in the live webinar and ask questions. On the last Thursday of the month, we will post the recording of the webinar for p2P members and the webinar will become a permanent part of the membership. Instead of video notes, one of the tips that month will be on the same topic as the webinar. Members who did not get to watch the live webinar will be able to watch the recording and ask questions in the comments section of the post. We will announce the date for the live viewing of our February member-only webinar in a few days. The recording will post on the site on February 28, 2019 for those who cannot attend the live viewing. Visit our training channel to view the recordings of the entire Maximize Your Membership webinar series. The series includes the full pixels2Pages Overview as well as individual webinars focusing on Blueprints, Videos, Bright Ideas, Tips & Tutorials, Crops, and Facebook. Click HERE to visit our training channel. If you are having trouble accessing these webinars, we recommend using Google Chrome. If you have any questions regarding what you see in any of these webinars, please email Tameka Bond at tbond@FOREVER.com. This past November, we released the first section of our Resource Guide which focused on Text. So far we have released three segments: Text, Fast Formulas and the Cut Ribbon. All of these can be found on the Resources tab on this site. Once we have built a few more segments, they will all become a part of a special landing page. Stay tuned as we make progress on this easy to navigate resource. The next installment of the Resource Guide will be released in March 2019. Also, we have made some changes to the site recently that we want to make sure you are aware of. Last month we archived all of our Artisan 4 offerings. While this information is still valuable to the very small percentage of our members who are Artisan 4 users, it can often hamper efforts of Artisan 5 users who are looking for updated information. We have not removed the Artisan 4 offerings from the pixels2Pages website; we have removed them from our current membership levels (pixels2Pages Monthly and pixels2Pages Yearly). If you are an Artisan 4 user, or need access to Artisan 4 offerings, please CLICK HERE to add yourself to the Artisan 4 Archive. Be sure to select “I have an existing account” and log in using your existing user name and password. This will add the offerings back to your specific membership. Keep in mind that the offerings will then show up in your search results and it is up to you to determine which of the offerings is right for you. p2P LIVE! events are coordinated and sponsored by local Ambassadors and hosts, and space is generally limited. Our 2019 Calendar is starting to fill quickly. 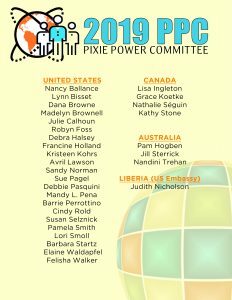 If you are interested in attending or hosting a pixels2Pages LIVE Event near you, send an email to info@pixels2pages.net. Note: Generally each p2P Trainer will do no more than two events per month, and we try to limit events to two per weekend. If you are considering hosting an event, the sooner you contact us about it, the better. Welcome to the latest issue of Pages Magazine. Our massive Holiday issue came bearing gifts for all. There are also a few p2P member-only gifts in this issue. As long as you were a member before December 31, 2018, you are able to download those freebies at any time. Please share this valuable resource with all of your scrapbooking friends. They don’t have to use Artisan to be inspired by the pages. Use the freebies in this issue and show us what you create by posting your pages in the pixels2Pages Community group. Pages will be published three times per year. Our next issue will be available in or about April 2018. It will be a smaller issue, but it will still be inspiring and fun. Did you know that we have lots of completed albums created by the pixels2Pages team on our Issuu site? They are there to inspire you so be sure to check them out while you’re looking at Pages magazine. Are you on our e-news mailing list? We send updates when we have them – click HERE to subscribe to that list – and, we have a series of emails that we send to new pixels2Pages members. If you have trouble finding your way around the p2P website, I encourage you to consider asking to be added to this email series. Click HERE to subscribe to the new member email series. Please note that we are no longer sending out weekly e-newsletters. We send them out when we have specific information to share. Please continue to release instructions written and not just webinars. I don’t have internet connection without going to the library and I would love to still be able to print these and put them in a binder. Hello, I am writing in response to your comment on p2P’s Rabbit Rabbit post. I am not clear what you are referring to. We have no plans to remove any of our written instructions and/or video notes. For our webinars, the video notes are on the gallery images as they are a bit different to our regular videos. Can you let me know what specific items you are referring to so I can give you a complete answer. Thank you. Thanks Pixies. I loved the webinar on design and it helped me straight away with a page I knew wasn’t “quite right”. I am looking forward to the next one. Also looking forward to the tip on renaming Double Page BP’s so they are found together. You are always looking for ways to make life easier for us! Music to our ears! Glad you were able to fix your page that was off! We sure try to keep improving things!